Note that all events above (except for the Keynote) are for BDO Alliance USA members only, or by special invite. Save this date and register today! 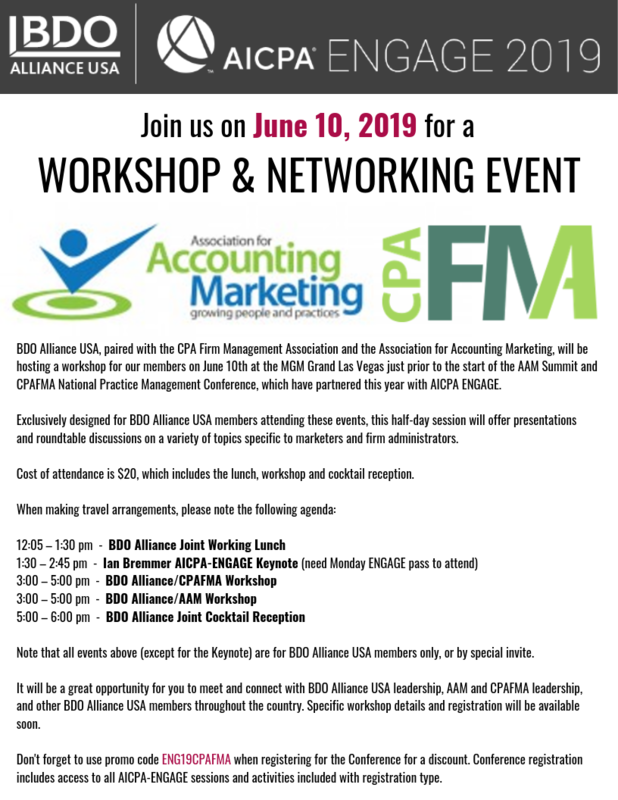 It will be a great opportunity for you to meet and connect with BDO Alliance USA leadership, AAM and CPAFMA leadership, and other BDO Alliance USA members throughout the country. Specific workshop details and registration will be available soon. Don't forget to use CPAFMA's promotion code (ENG19CPAFMA) for a discount when registering for the Conference and ENGAGE! To register, click here or use the registration button below.